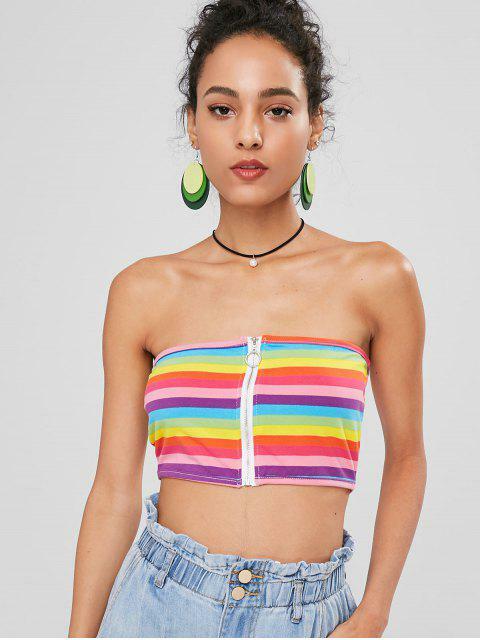 [20% OFF] 2019 Rainbow Zip Crop Tube Top In MULTI | ZAFUL ..
What a wonderful thing to wear the rainbow on! 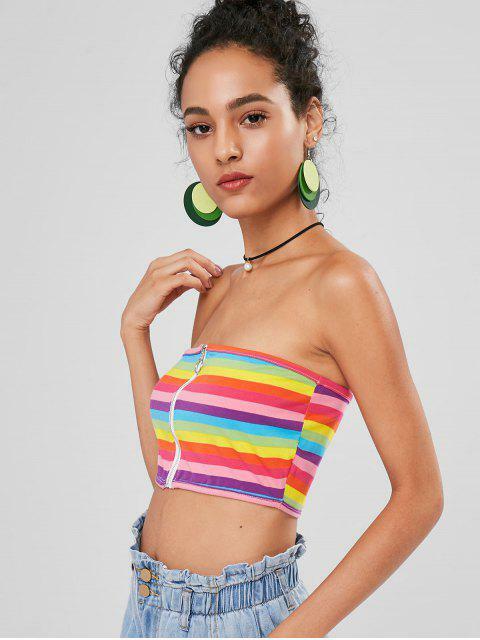 Thus, we have this tube top giving the chance to express your love with pretty colorful rainbow stripes. It is perfectly cut in a cropped length with a zip up closure on the front for convenient wear. And the fabric we use is so soft to offer the comfort you need. Style it with wide leg jeans like the model shows will look stylish!